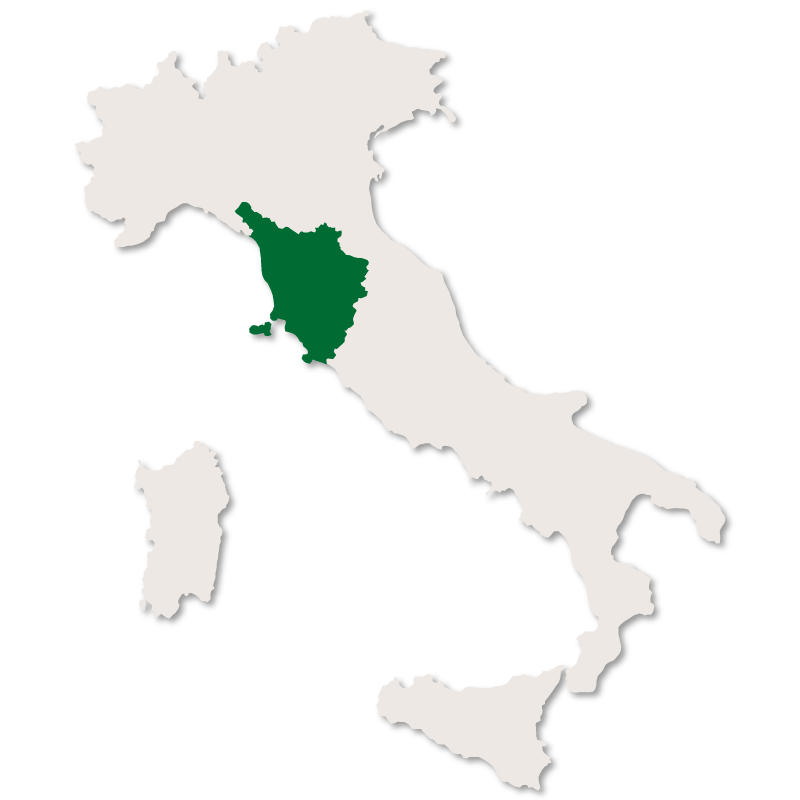 The province of Arezzo borders the region of Emilia-Romagna to the northeast, the region of Florence to the northwest, the regions of Marche and Umbria to the east and the province of Siena to the southwest. 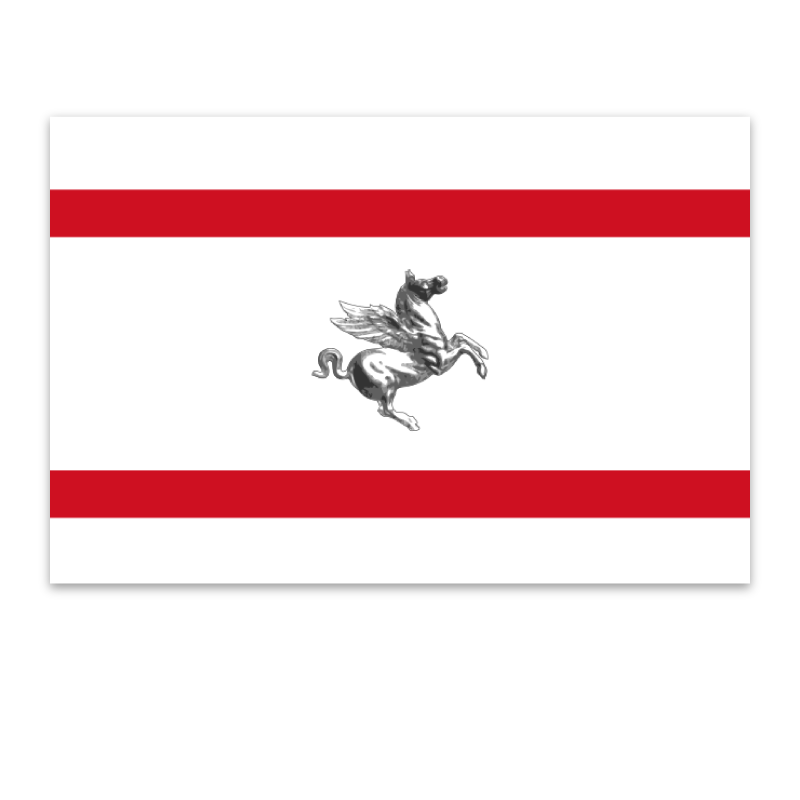 The province is crossed by the river Arno and a small stretch of the river Tiber. The landscape is hilly, interspersed with deep valleys and the highest point is Mount Falco at 1,658 metres. 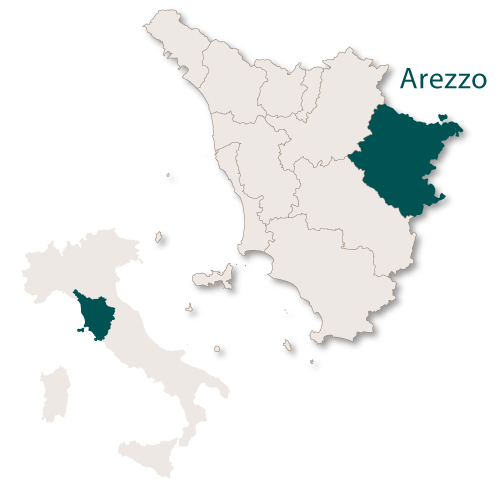 Arezzo is the capital city of the Tuscan province of Arezzo and lies on the slopes of hill rising from the River Arno. 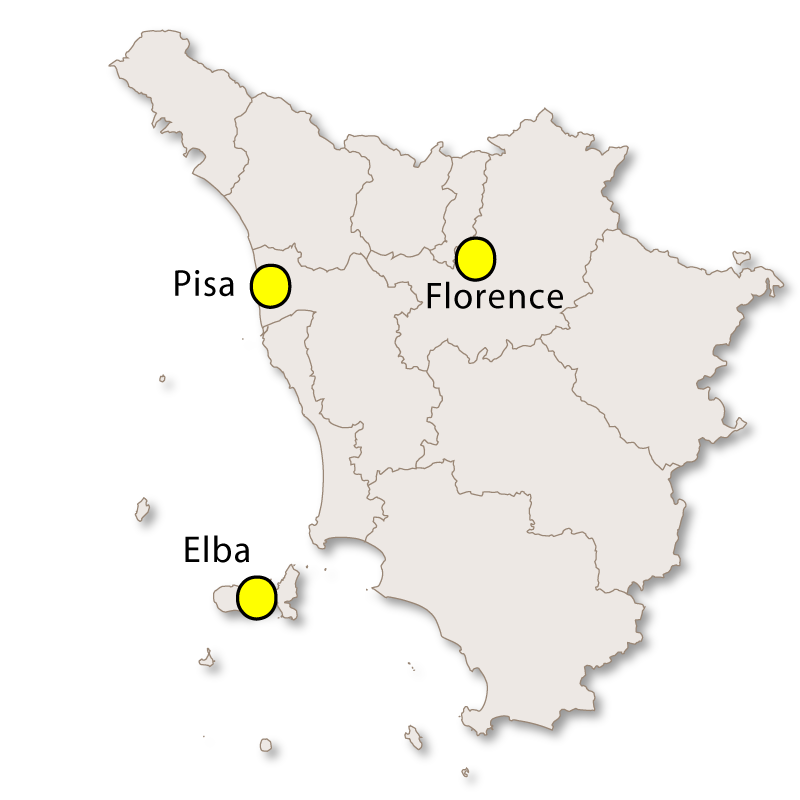 The highest point is the original medieval town with the more modern areas of the city spreading out below it. The original town was well fortified with much of the original walls still standing and in excellent condition. 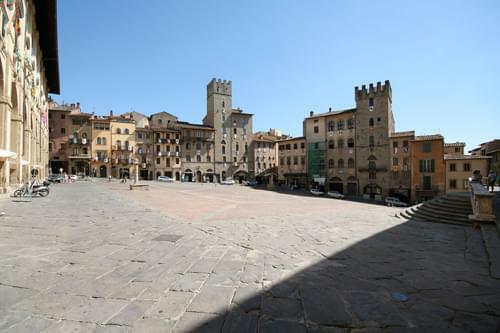 Within the old historic centre the most important of the many piazzas is Piazza Grande which was once the market square. It is built on a slope and paved with red brick and limestone which creates an eyecatching geometric pattern. Around the sides of the square are some of the most interesting buildings in Arezzo. 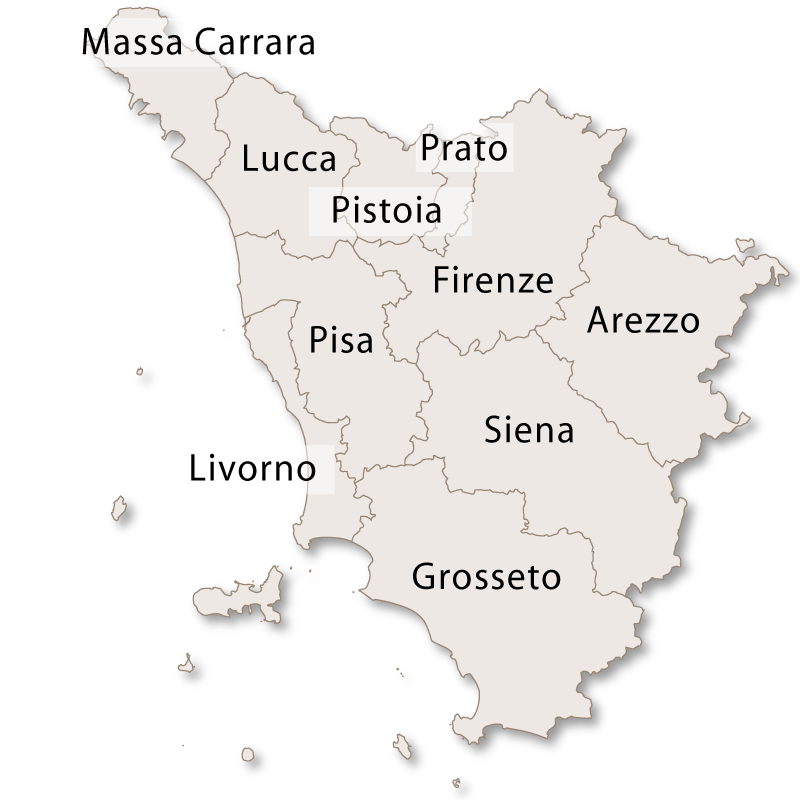 These include The Bishop's Palace, Palazzo Cofani-Brizzolare, Torre Faggiolana, Fraternita dei Laici, Vasari Loggia, Il Palazzo Comunale and the Palazzo del Popolo. The Cathedral, built in the 13th century and has some lovely medieval stained glass windows. The Gothic tomb of Pope Gregory X can be found there. Santa Maria della Pieve is a Romanesque church with a 59 metre high, large, square bell tower with two sets of mullioned windows. It was constructed in the 12th century and renovated a century later a façade of loggias with small arches supported by columns of different styles. 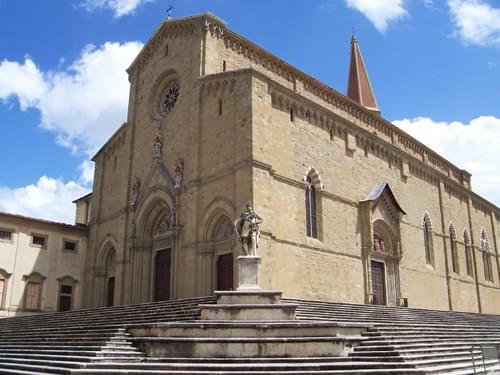 The Basilica of San Francesco was built in the Tuscan-Gothic style at the end of the 13th century and completed in the 14th century. 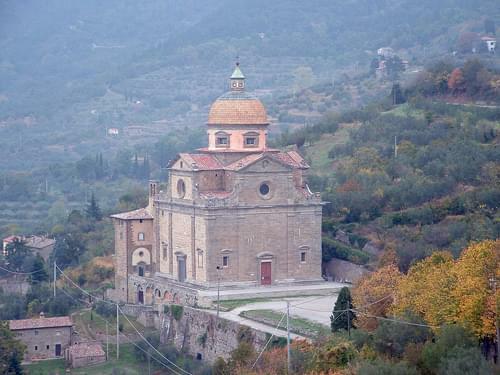 Chiesa di San Domenico was founded in 1275 and finally finished at the end of the 13th century. Chiesa di Santa Maria a Gradi is a medieval church which was built at the end of the 11th century but was reconstructed in the 16th century. The church of San Lorenzo is one of the oldest in the city having been built prior to the year 1000. 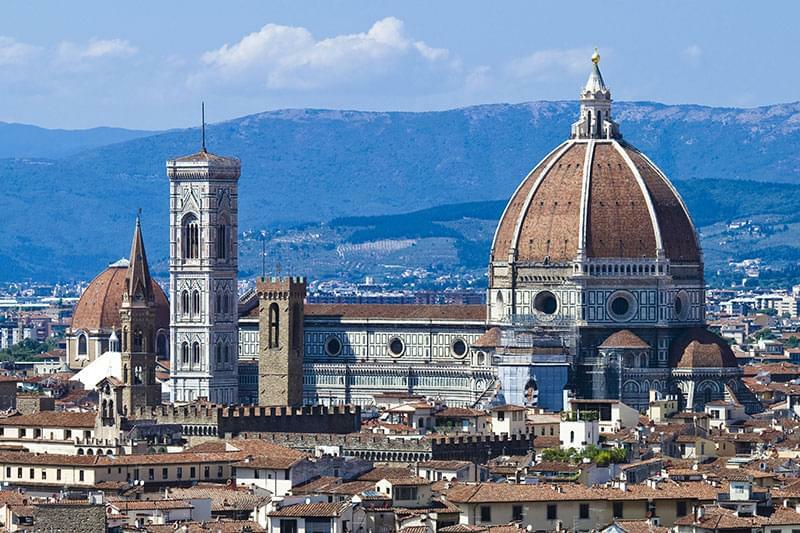 It underwent reconstruction during the 13th century, was restored in 1538 before being totally rebuilt in 1705. Fortezza Medicea, a fortress built between 1538 and 1560. Palazzo dei Priori, built in 1333 but has been restored and renovated many times over the years. Palazzo Camaiani-Albergotti which was built in the 14th century and completely renovated in the 16th century. It has an attached tower, 'Torre della Bigazza'. Palazzo Bruni-Ciocchi, a Renaissance builiding which is now a Museum of Medieval and Modern Art. Casa Vasari is a well preserved house which was built in 1547 by Giorgio Vasari and is now a museum. There is a Roman amphitheatre and musuem. 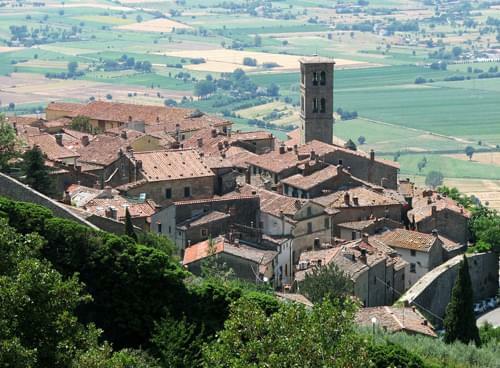 Resting on a hilltop, 600 metres above sea level, Cortona is the second most important town in the province of Arezzo. 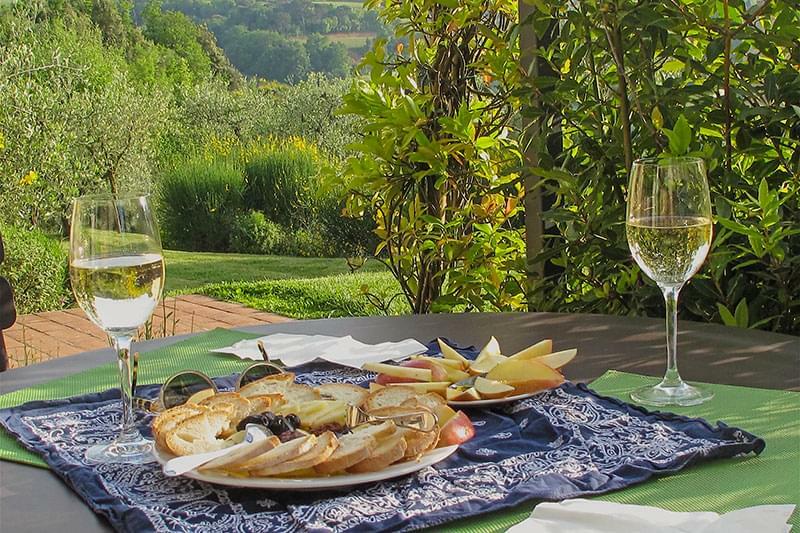 The views from the town across the Valdichiana are stunning and from the main square, Piazza Garibaldi, there is a wonderful view of Lake Trasimeno. Cortona is a beautifully preserved medieval town built on a gradient which means its narrow streets are steep and interconnected by steps. The main street, Via Nazionale, is the only one in the whole town which is flat. The Italian musician Jovanotti (Lorenzo Cherubini) was born and raised in Cortona. Cortona Cathedral which was built in the 11th century over the remains of an old Roman temple. Santa Maria Nuova is a pretty Renaissance church which was built in 1550 just outside the town walls. Santa Maria delle Grazie al Calcinaio is another Renassance church built at the end of the 15th century. Palazzo Casali houses the Museo dell'Accademia Etrusca which has an excellent collection of artifacts from the Etruscan, Roman and Eygyptian civilizations. 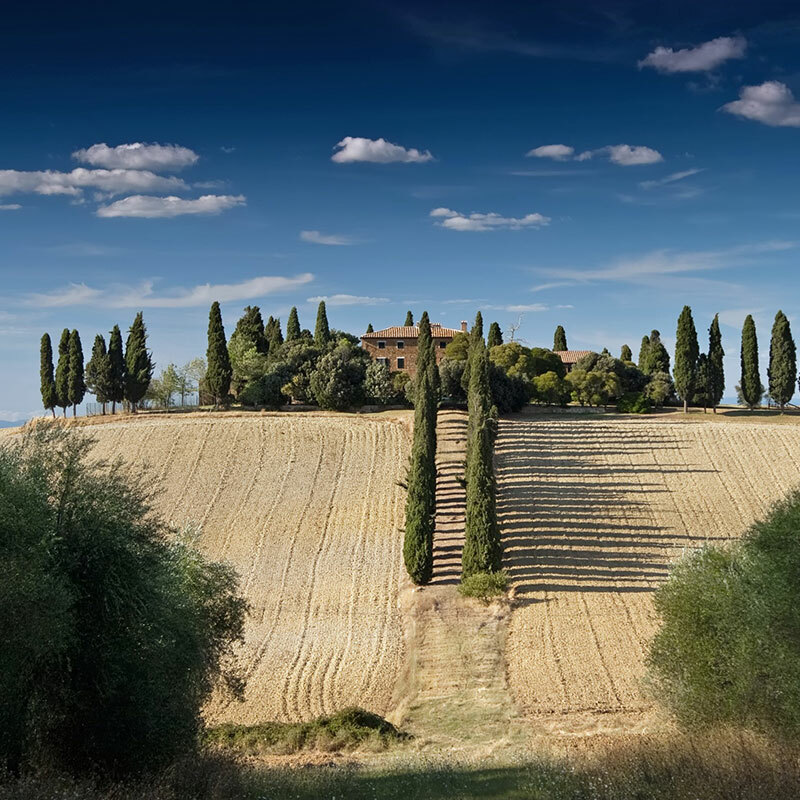 Villa Bramasole was built in 1504 and was used as the location for the film 'Under the Tuscan Sun' which was shot in 2003. A small walled town set on a hillside overlooking the Val di Chio. The original walls are well preserved with many of the gates, the best example being Porta Fiorentino, still standing. There is an art gallery occupying a former church, a nine arch loggia built by Vasar in 1513 and nearby is Caltello di Monecchio. It is one of several Lombard fortress villages that occupied central Italy during the 6th and 7th centuries and is, perhaps, the best preserved of all of them. The walls are still visible and there is also the remains of a walled castle which was built in 1048. This castle was used by the Germans as their headquarters during World War II and it was subsequently destroyed by allied bombing. Sadly, it has never been rebuilt. Another pretty, pleasant and very well preserved walled medieval hill top village. 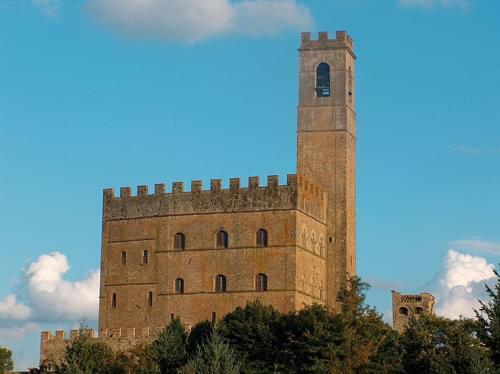 The main point of interest here is the Castello del Conti Guidi which was mentioned as early as 1191. There are also several interesting churches, the Hermitage of Camaldoli, Palazzo Crudeli and the Carlo Siemoni Museum and Arboretum. 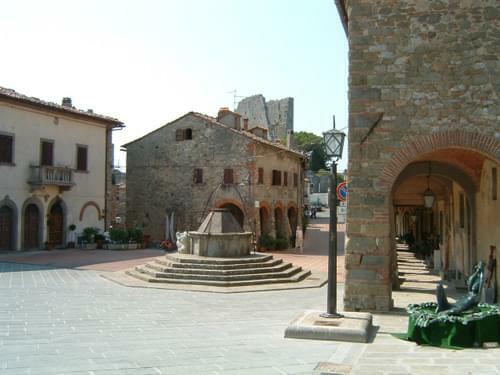 A small village which is famous for being the birthplace Of Michelangelo. It has a Michelangelo Museum and Library. The church where Michelangelo was baptised is the 13th century St John the Baptist Church.